Innovative urban solutions provide a strategic advantage for developers. Successful infill neighborhoods create an urban oasis – maximizing the value of small, prized spaces within the context of higher density environments. These types of spaces which are suitable for urban densities can also have a positive impact within densified fringe locations. Creation of an Urban Oasis – Working abroad has influenced the value and opportunities of small, unique spaces. Examples of our Asian work demonstrate that intimate outdoor gathering spaces can substantially add to the value of an infill site. Integrated Architecture – DTJ’s planning practice has a deep understanding of how buildings relate to streets, context and one another. Planning without architecture in an infill context is a waste of valuable resources. Market Acceptance/Public Partnerships – Balancing public approvals with market viability is critical to the success of infill properties. Broomfield’s previous attempts at selecting development partners for their Civic Center stalled until a viable plan was proposed – solving both public requirements and development goals. 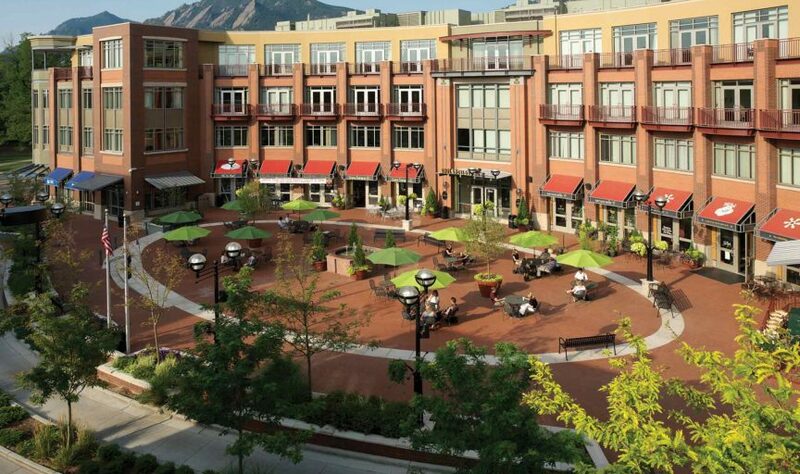 Crafting Livable Environments – Infill locations rely on context to be viable. Many current locations need living environments that achieve densities above 20 units/acre. Finding ways to incorporate cool amenities at Overture helped to make a perceptibly dense environment more livable. Understanding how to differentiate an infill property is a DTJ advantage; let’s talk about how your infill neighborhood can be more livable.